When Woodside fell, Remy and her companions barely escaped. Now they're scrambling to recover their shattered lives and find a new place to call home. But their friend Brandt Evans is still missing. Desperate to recover Brandt from the military's grasp, Remy and her friends set out on a mission to find him - or die trying. Their search takes them back into the heart of Atlanta. What they find there are the seeds of a betrayal they didn't expect and a world wholly different than what it had been when the Michaluk Virus struck. With the entire world turned on its head, the group finds themselves dealing with the biggest challenge of their lives. In this exciting conclusion to The Becoming Series, the survivors of Woodside navigate birth, death, and everything in between as they fight against impossible odds. 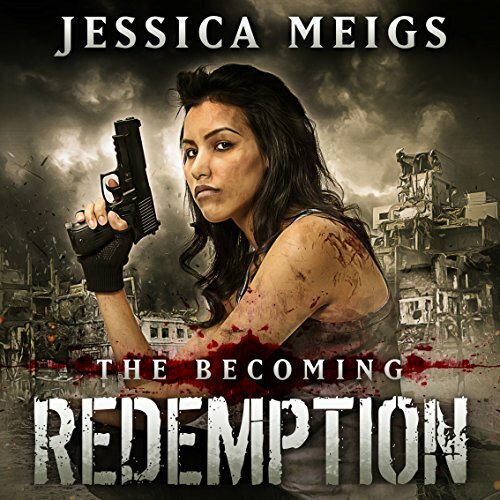 ©2015 Jessica Meigs (P)2016 Audible, Inc.
Great series. I wish it didn't end here and there was more. Loved the characters, story and pacing. Our pummeled group searches for the missing Brandt. Plenty of action and excitement to go around. Ultimately Cade has a baby girl named Olivia. Brandt and Cade return home to rejoin with new baby Olivia and begin their new life. Due to Ethan’s “condition”, he and Kimberly remain in the quarantined zone to look for survivors and eliminate infected. Sadie, with nowhere else to go, decides to stay with Ethan and Kimberly. Great conclusion to a fine series. Great story worthy of the series. A new aspect to the zombie stories. Works great.